“Do what you love and love what you do.” Why not make your passion a business? You could be hitting two birds at one stone for that since you will be doing what you love and at the same time you will also be earning from it. Plus, any business person would want to achieve long-term goals; hence, this will be your long-term priority. You have been dealing with you passion for a while now; why not make it a long-time task for you? It won’t be work anyway since you are doing what you love to do. You mean business here. If not life-long, at least, you have a long-term agreement with it. You must at least know the basic business skills — administrative, operations and marketing — so as to maximize the capital and gain more profit than expenses/liabilities. If you know how it works in the business sector, you can also foresee fluctuations in the industry of your business. You just have to learn what you’re going to franchise. Since most companies offer or provide training programs for their franchises, might as well make the most from these seminars and take note of questions and voice out concerns for you to get your full hands on your future business. You must know the ins and outs of the business and strategies or techniques to escalate opportunities and chances of success in the market. Consider this a cliché, but every form of business needs a business plan. This is to know the weaknesses and strengths of your business, understand the market attitude, and create channels to achieve your goals. Your business plan will keep track of the progress on your short and long-term goals. In franchising, there will always be rumors/gossips and issues between the mother company and the franchisees. Usually, the best way to handle problems is to talk it out in a professional manner with dignity and respect to create a more knowledgeable and healthy environment for business to grow. You own the business; so, whatever happens and decisions will be upon your command. Although, you have to work with transparency with the mother company of your business, provide updates and voice out concerns to the, the final decisions will still be yours to take. It does not mean that you have to be overcome with the administrative tasks because that would limit your success. You have to manage both in balance. This will be helpful from the inside to the outside capacities of your business. 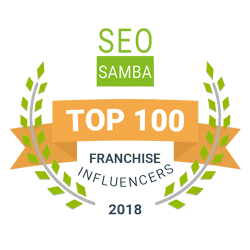 This entry was posted in Franchise Consulting Agency and tagged Franchise Development, Marketing, Success. Bookmark the permalink.